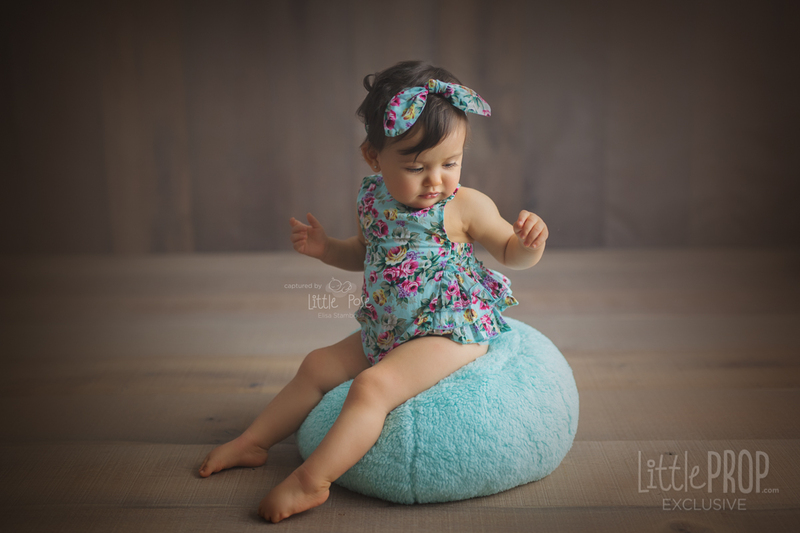 $199.00 more to FREE shipping! 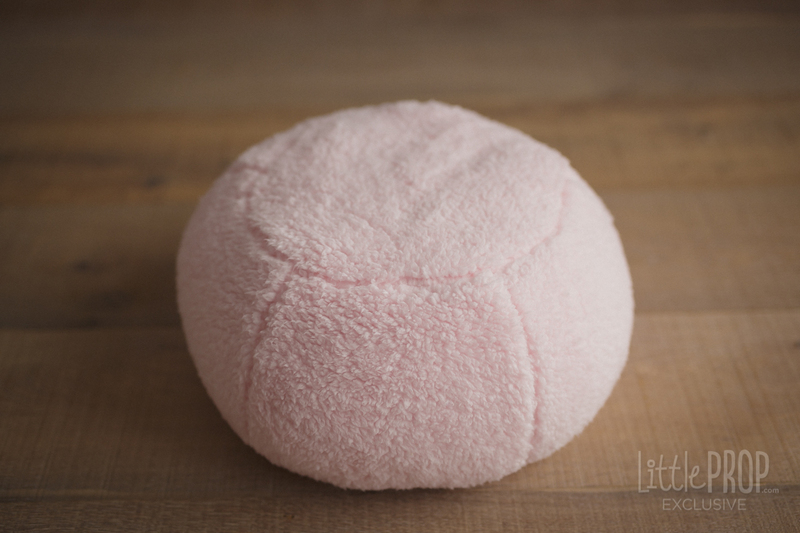 The NEW AND IMPROVED Little Puff is here! 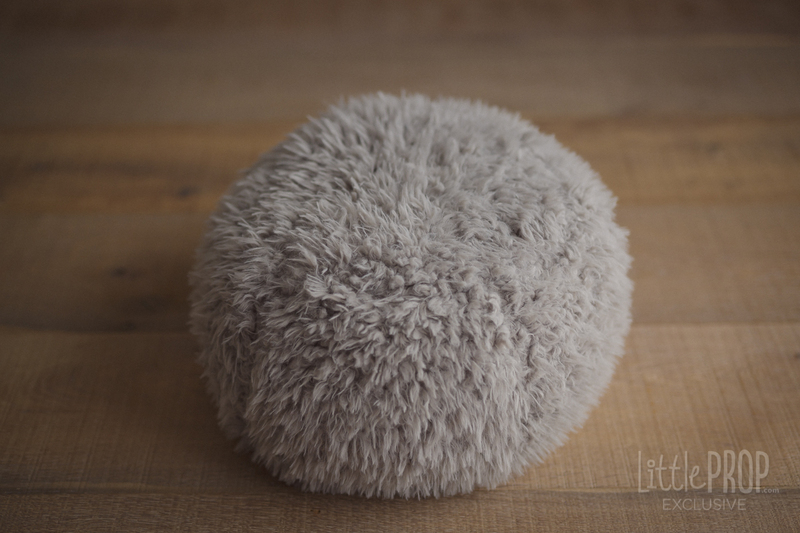 Our new Little Puff is as versatile as ever with less effort! 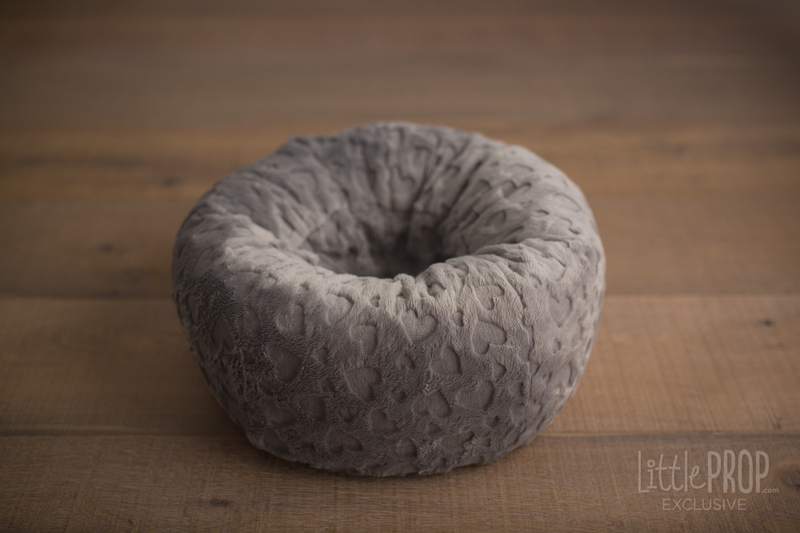 The core is now pre-shaped with a hollowed center for a perfect round and deep support every time and yes you can still shape it as a nest, seat, ottoman or any variation you come up with! 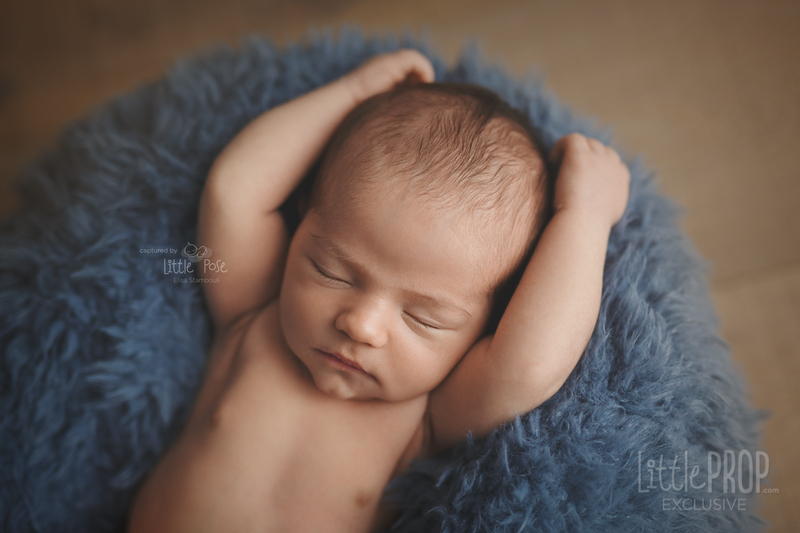 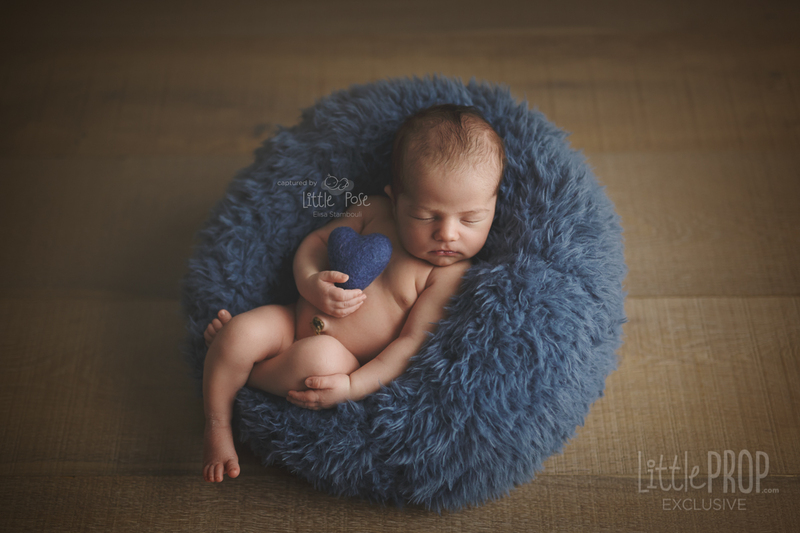 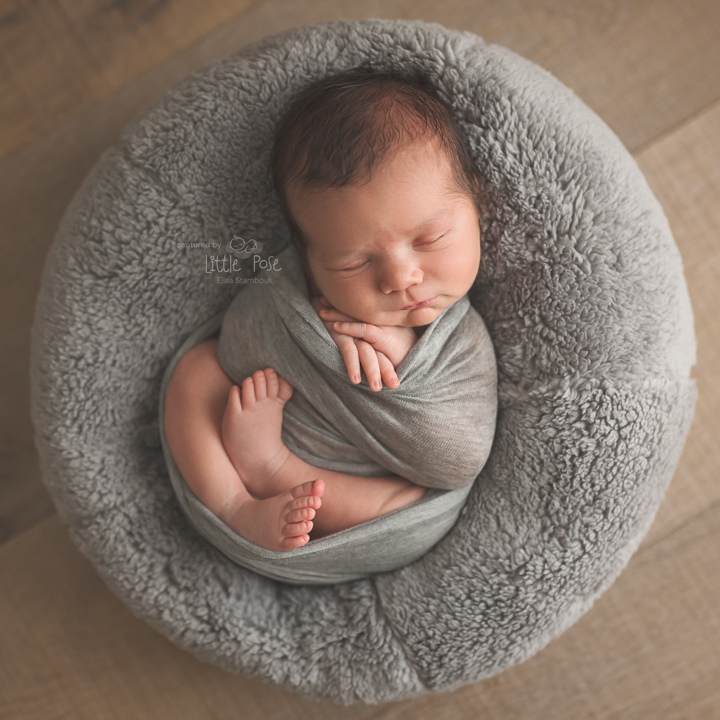 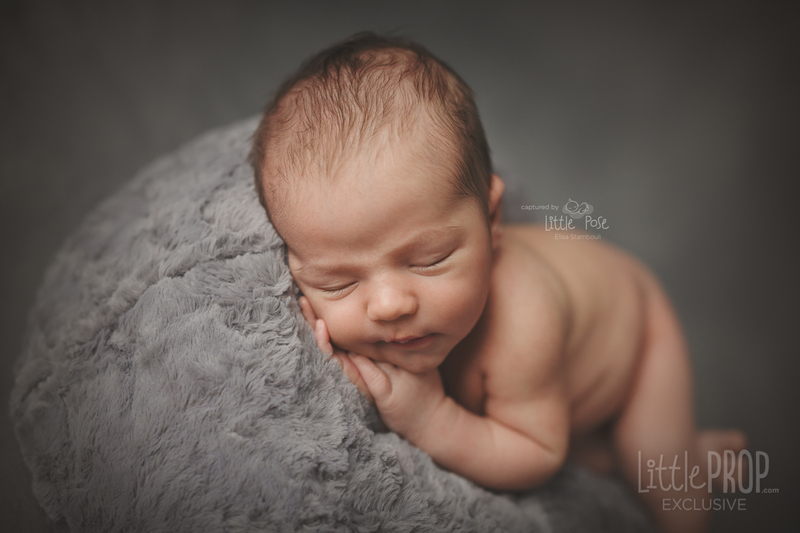 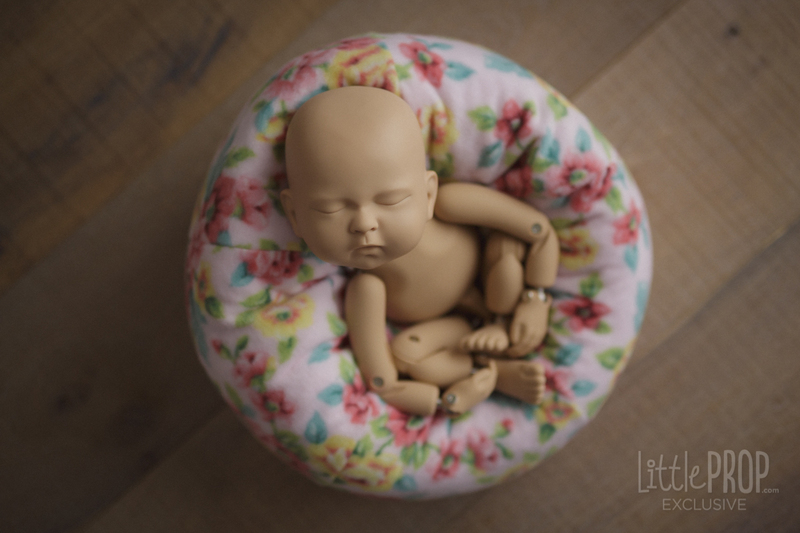 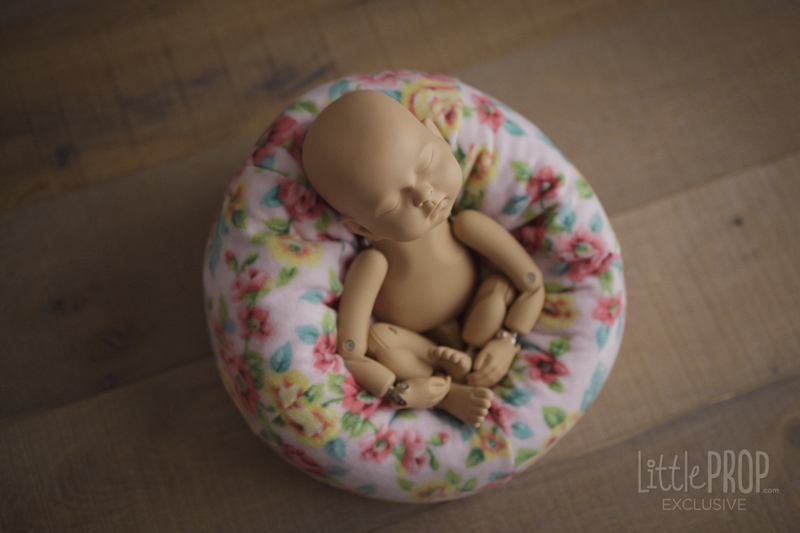 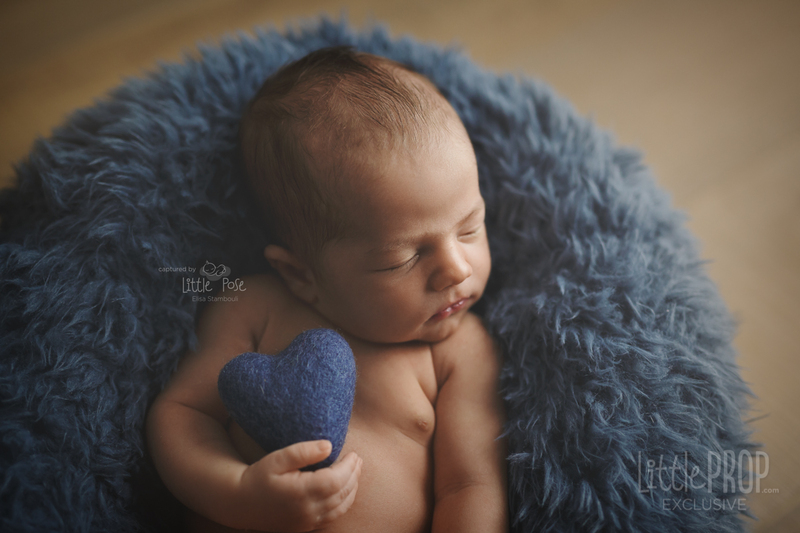 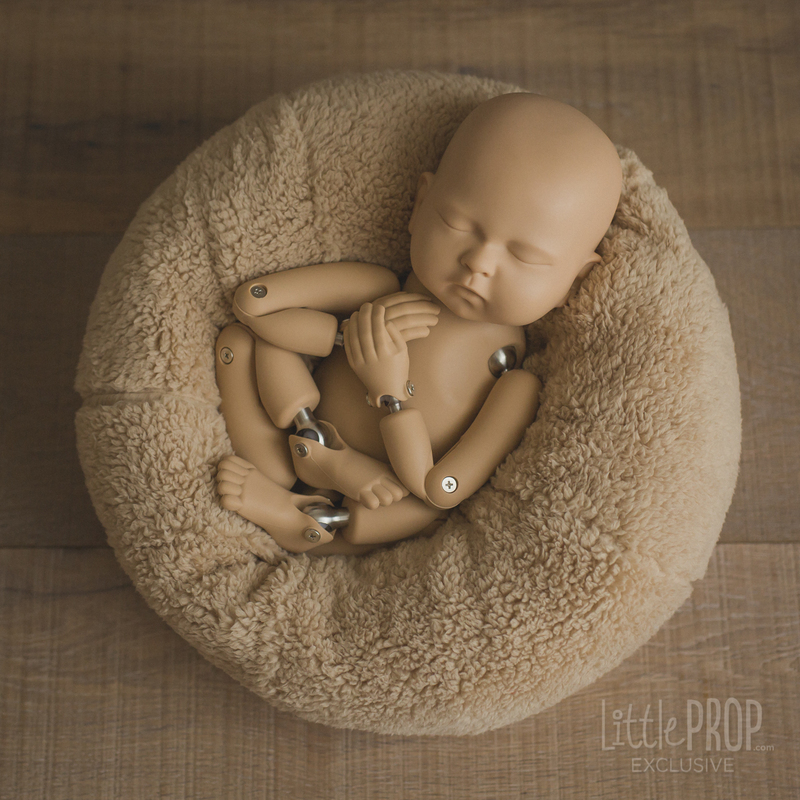 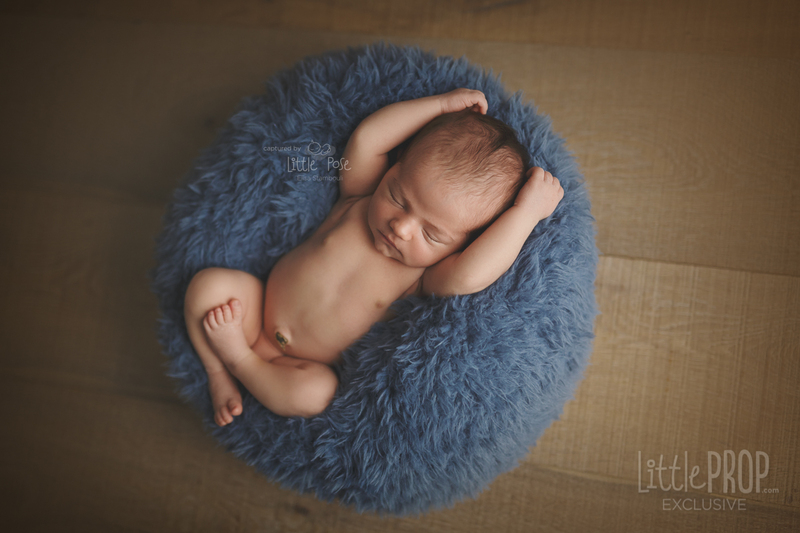 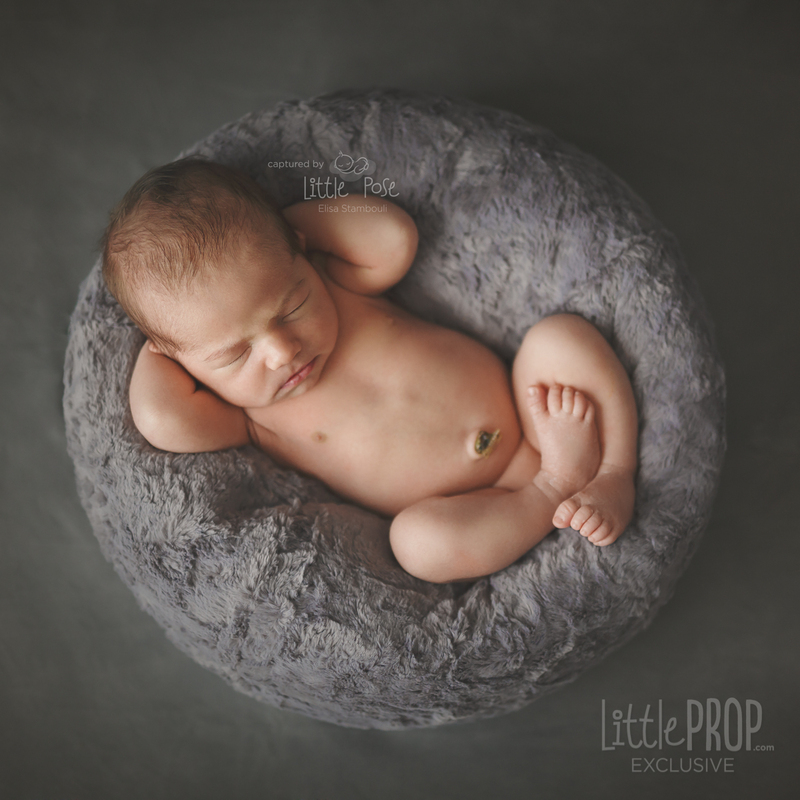 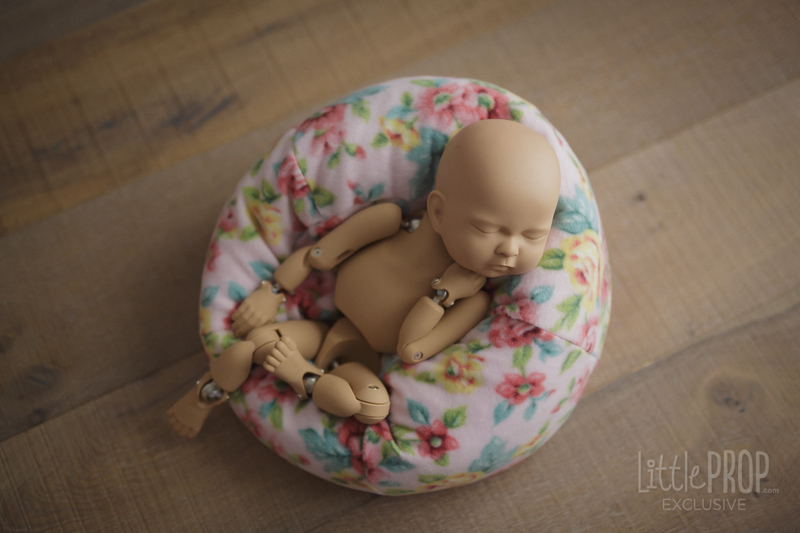 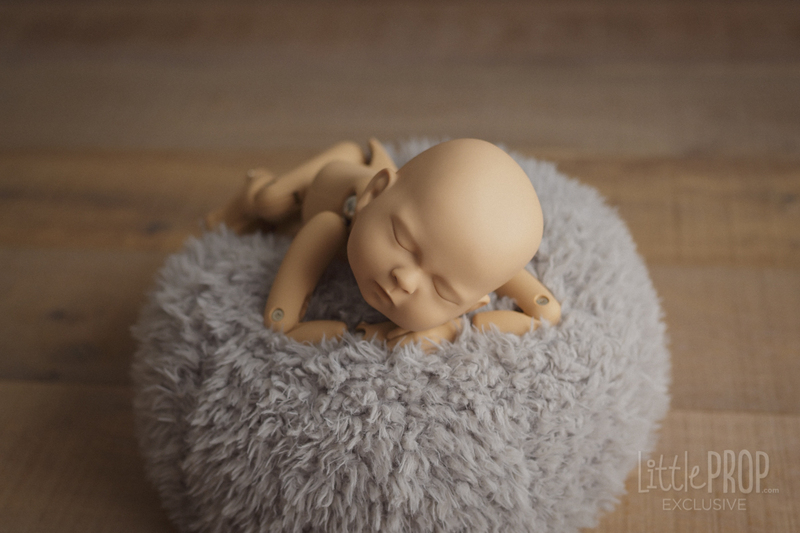 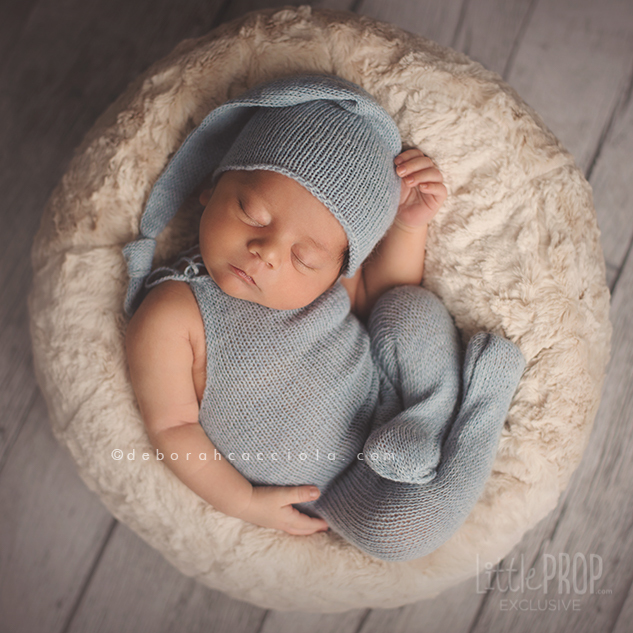 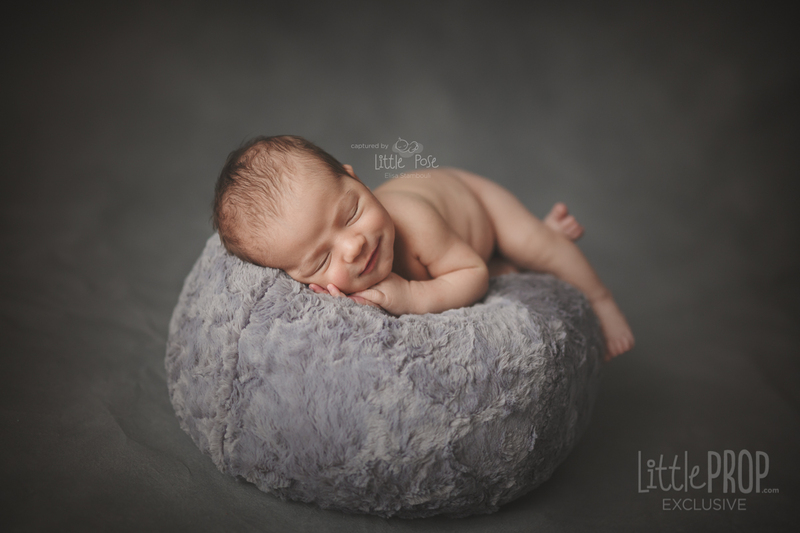 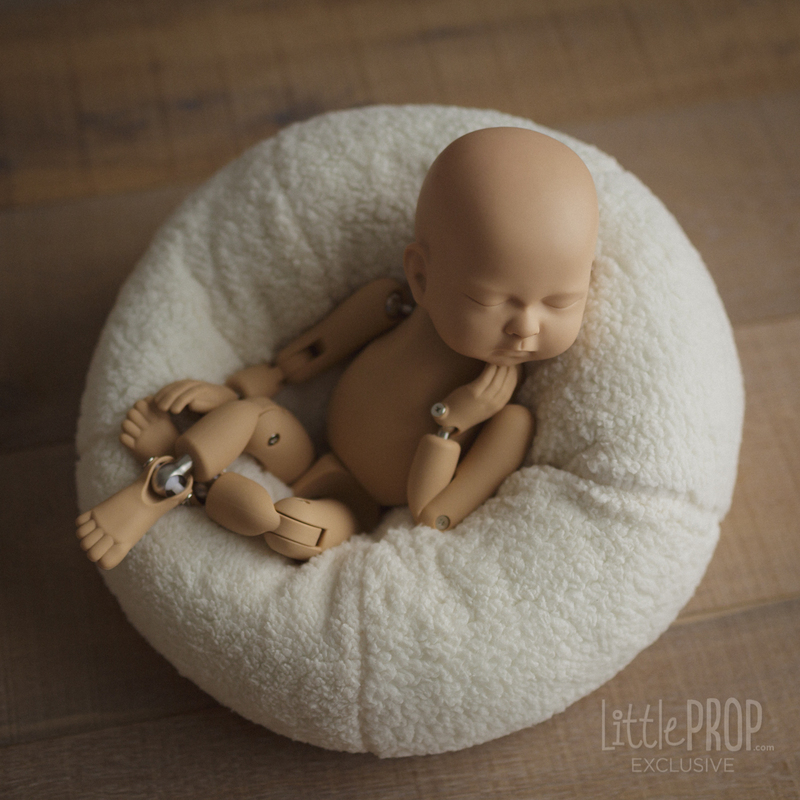 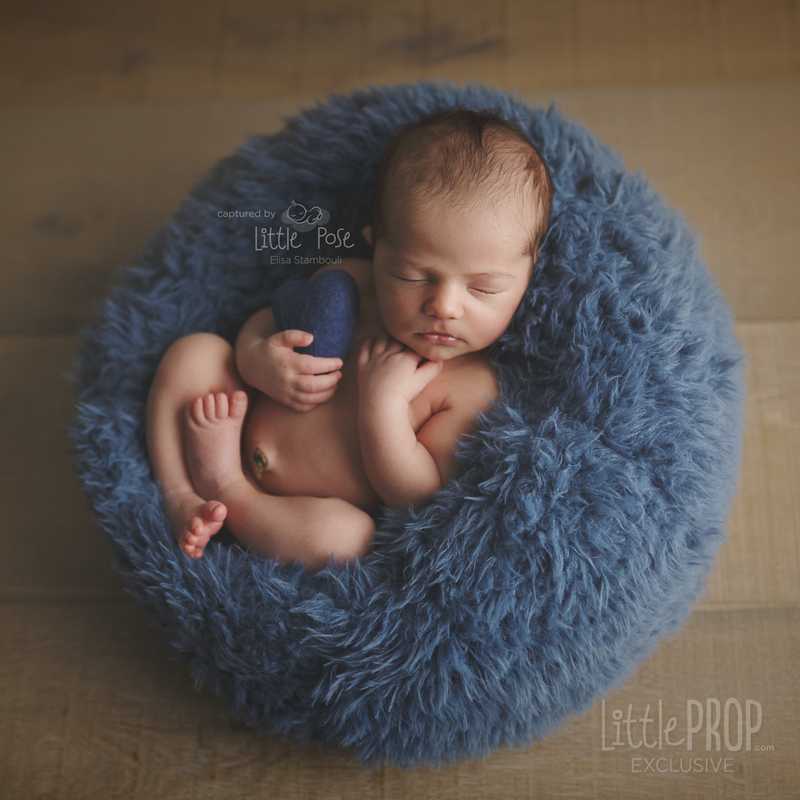 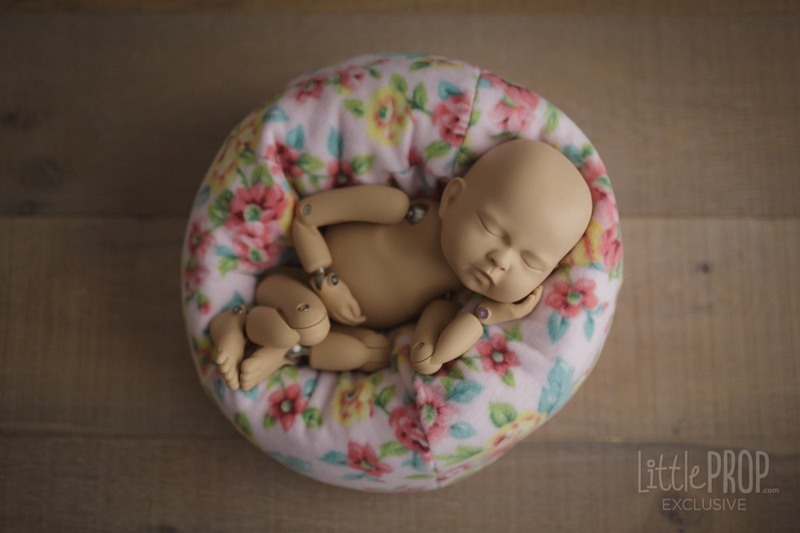 The Little Puff is the perfect prop for posing and photographing newborn babies in the most secure, varied and comfortable way. 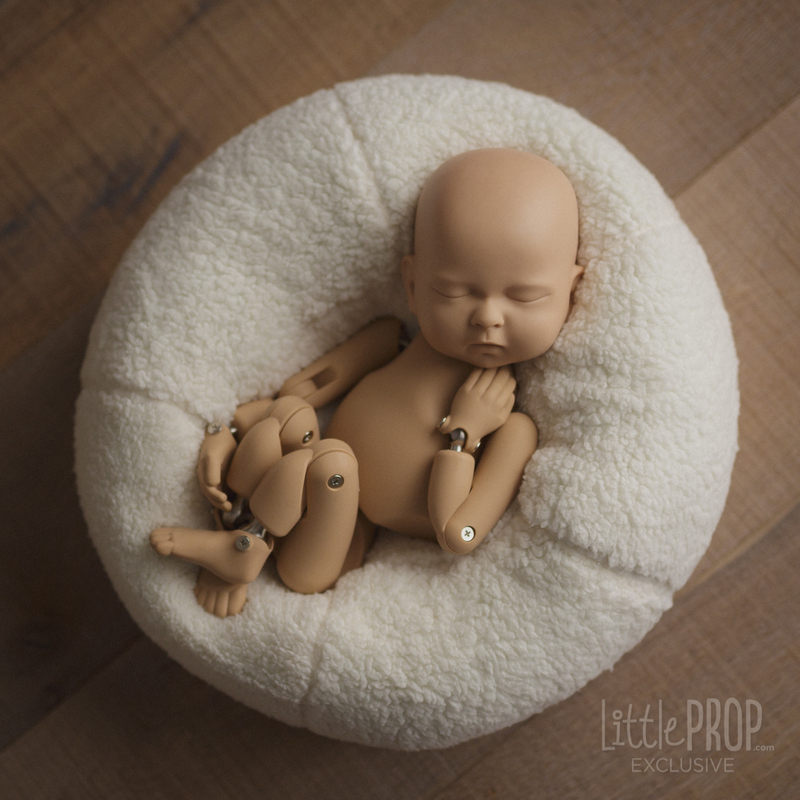 It's so versatile, you can adjust it to different shapes and use it in so many different ways and create perfectly supported poses every time without the need of additional support. 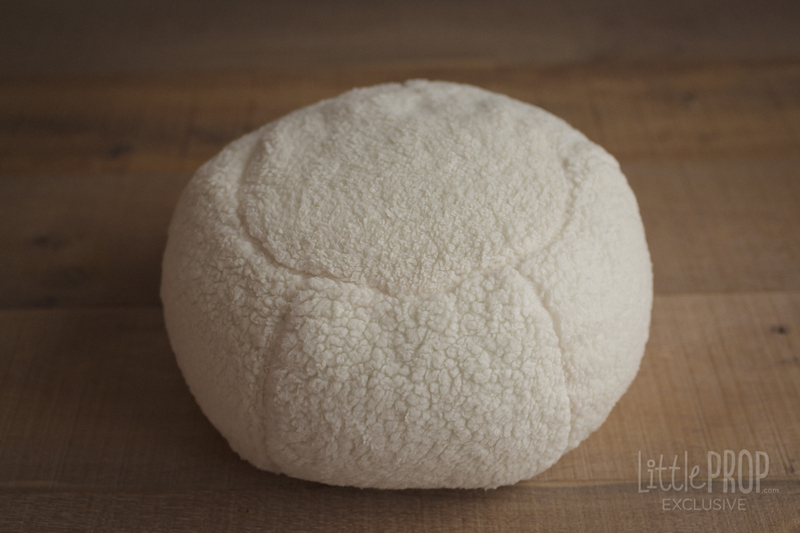 One Little Puff Core: pre-filled to perfection with 100% polystyrene beans. 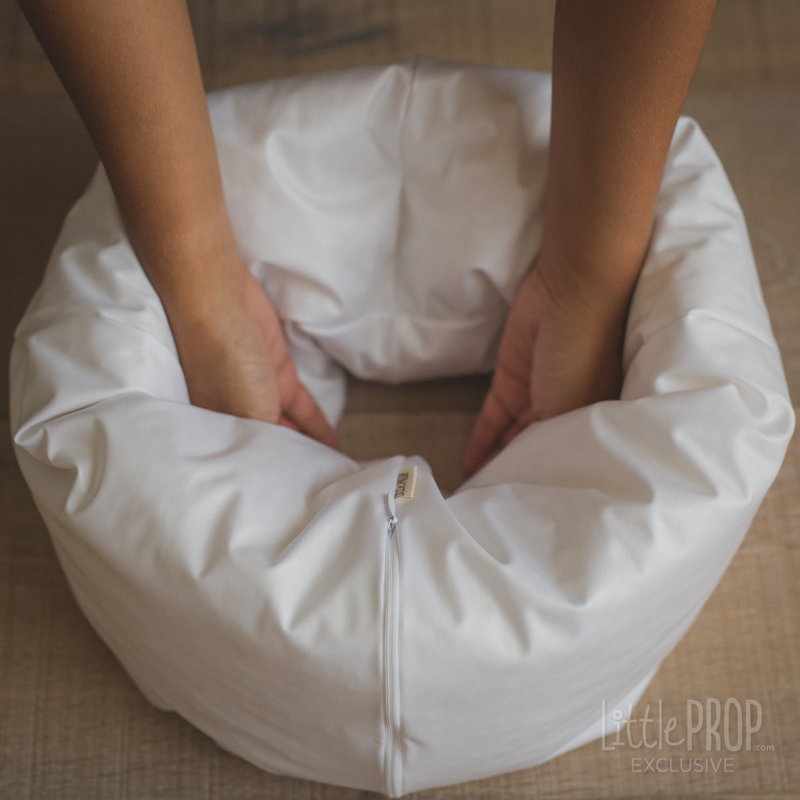 Core fabric is extremely durable and water proof. 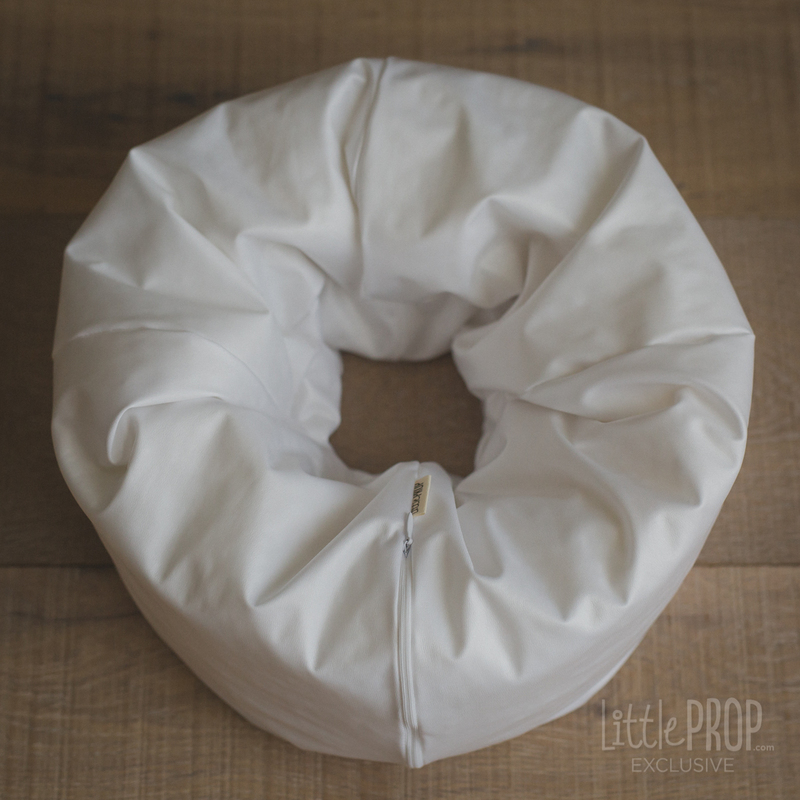 Water proof: ZERO water absorption and impervious to mildew, mold, rot, and bacteria: for those potential spills :), just wipe it out and you're done. 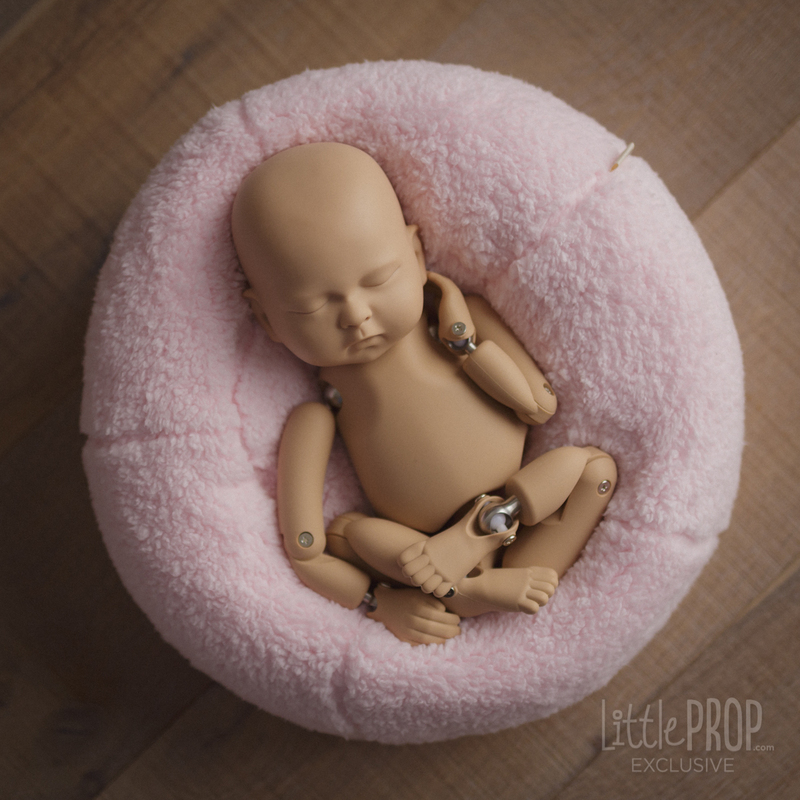 It's so versatile, you can adjust it to different shapes and use it in so many different ways and create perfectly supported poses every time without the need of additional support. 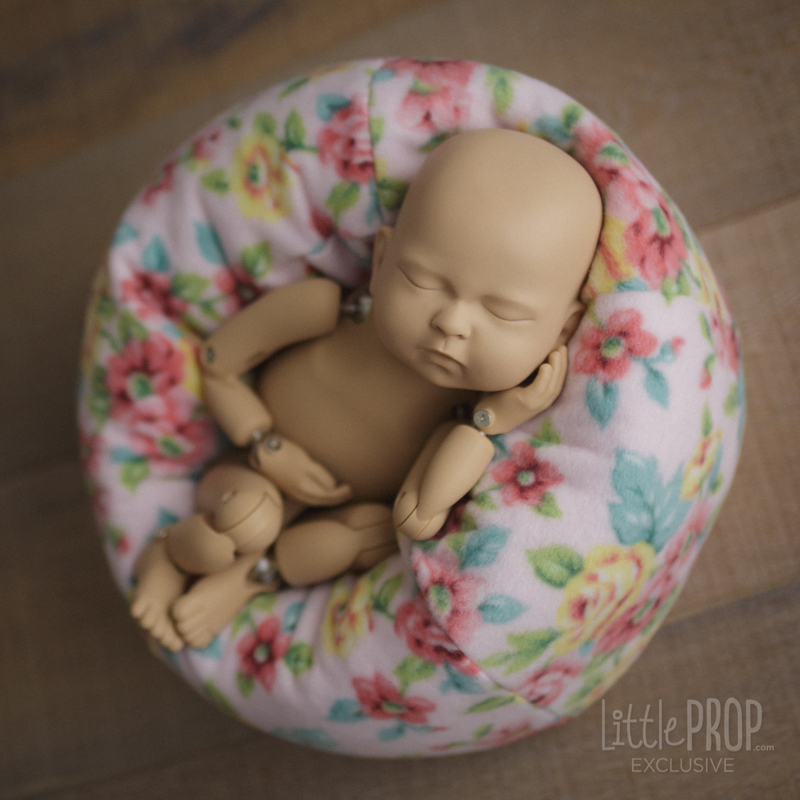 Covers are interchangeable and they come in our signature fabrics that we use for the Posing Pod covers. 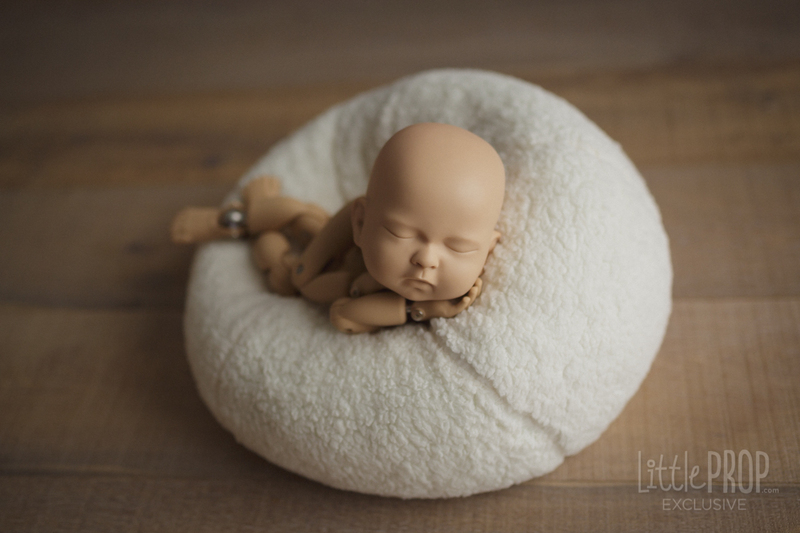 Covers are adjustable in a unique way so you can have different firmness and variation of shapes and posing styles. 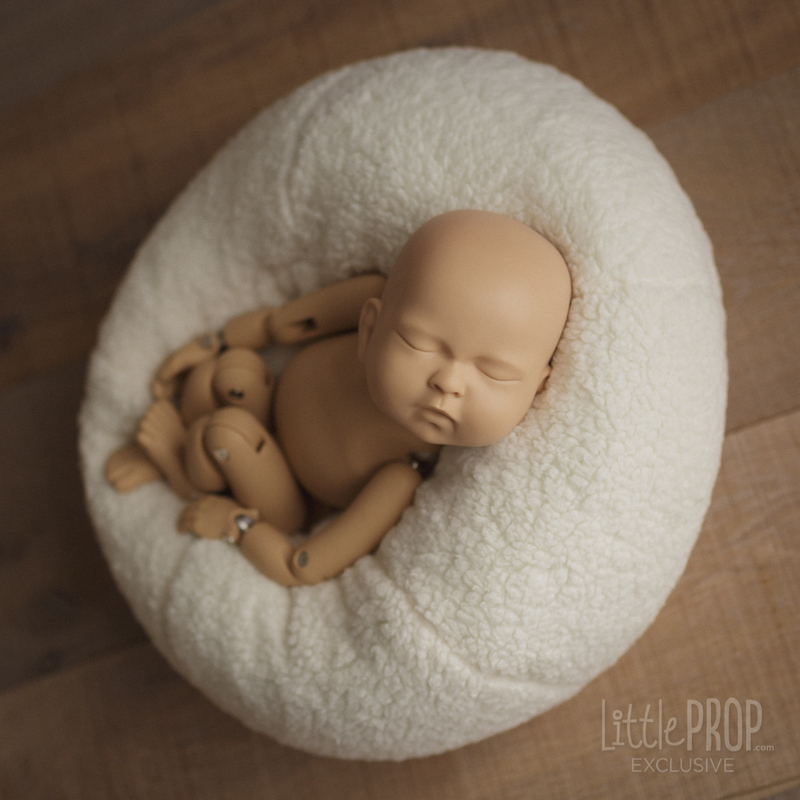 It will accommodate perfectly a single newborn baby without overpowering it. 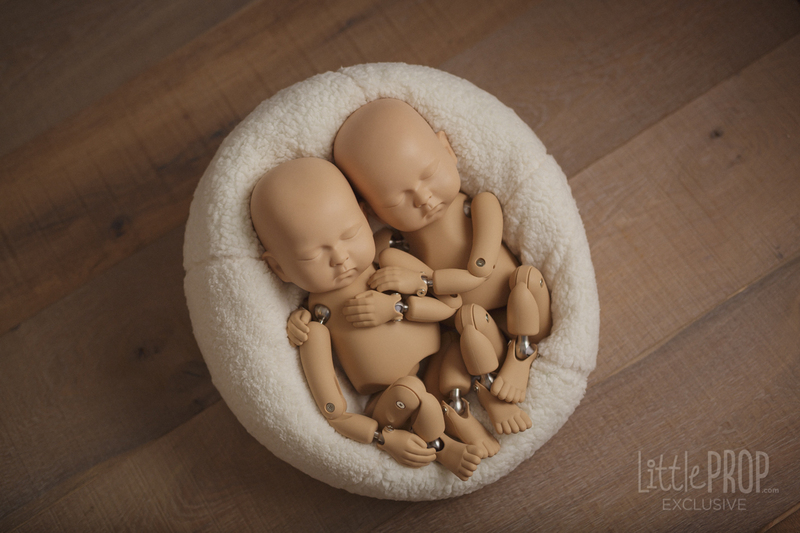 It also fits two newborn babies, yep, on the very same product! 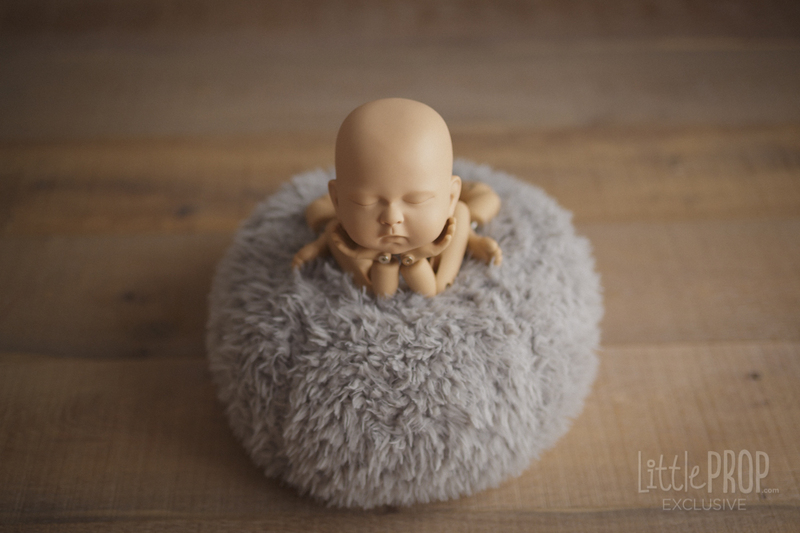 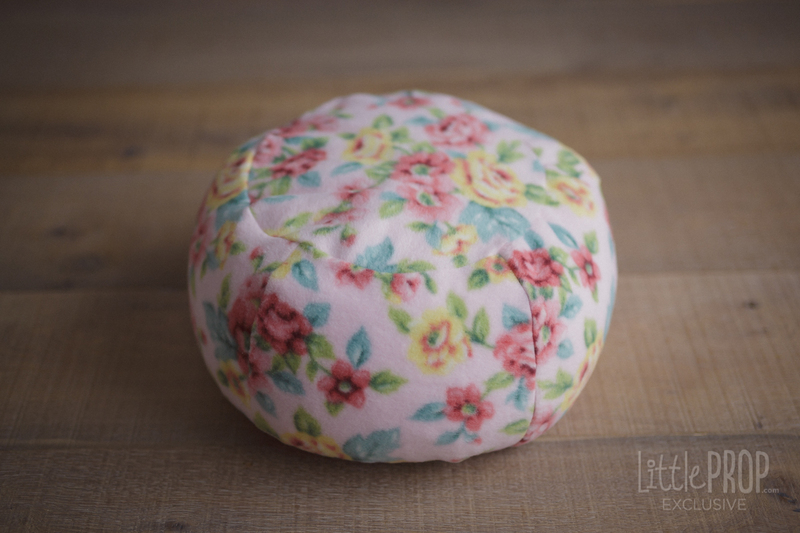 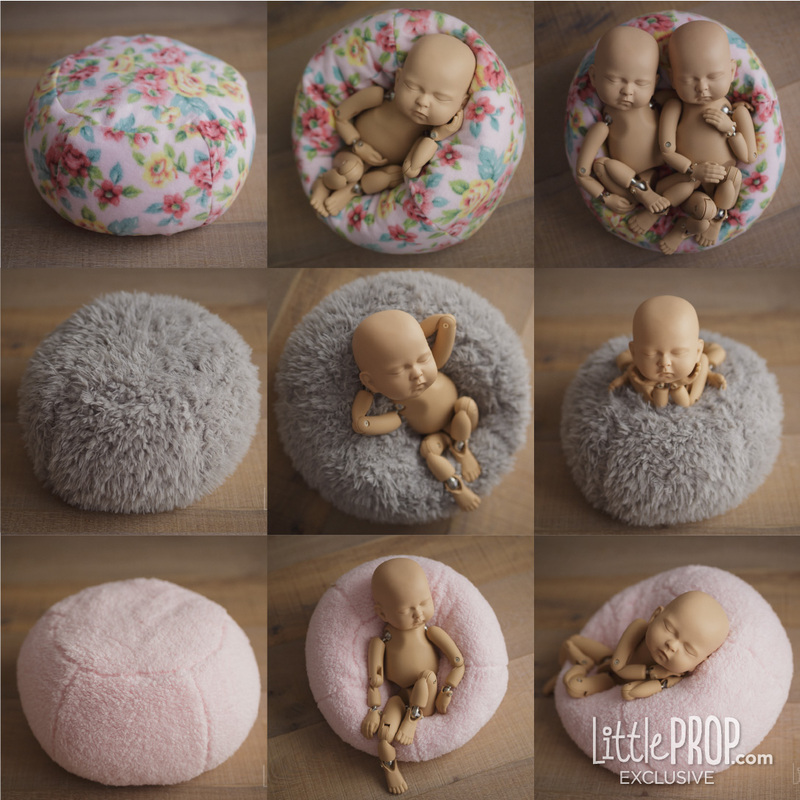 It can also be used as a beautiful little ottoman to sit and pose older children, just any age you find appropriate, the Little Puff will withstand almost anything! 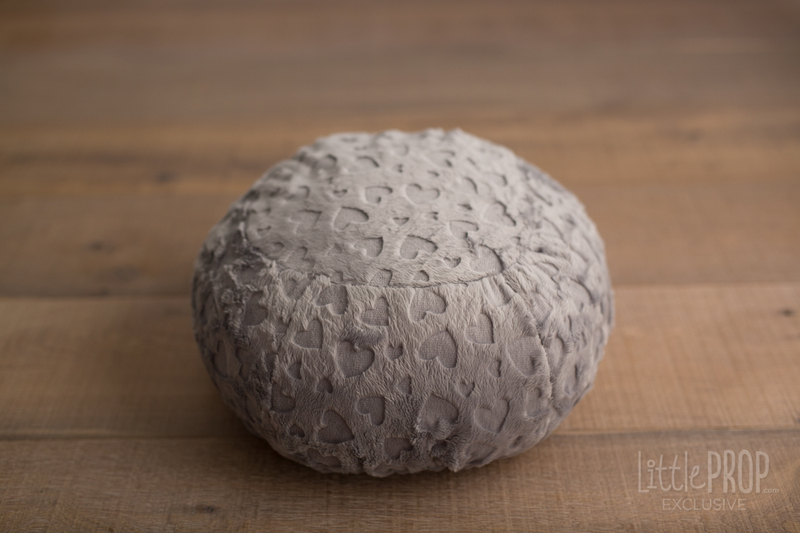 This is filled with little Polystyrene beans, making it very light weight and convenient for traveling photographers. 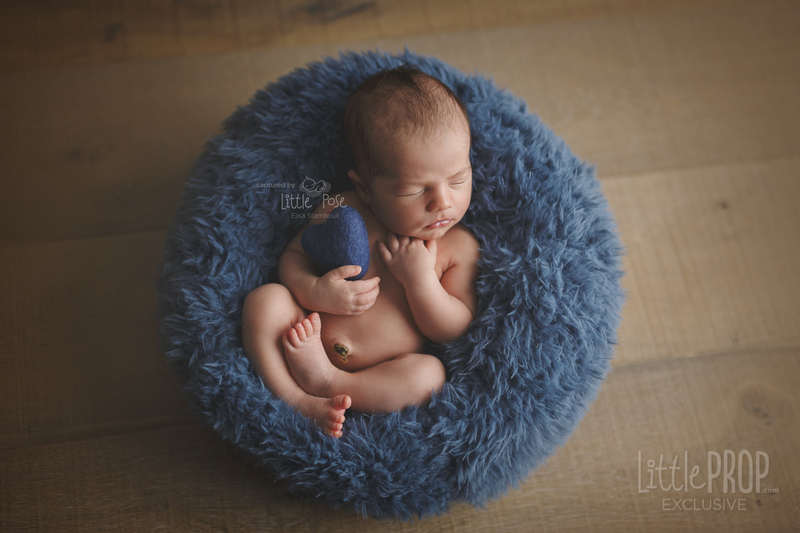 And yes, you could use this as an alternative to a large posing bean bag. 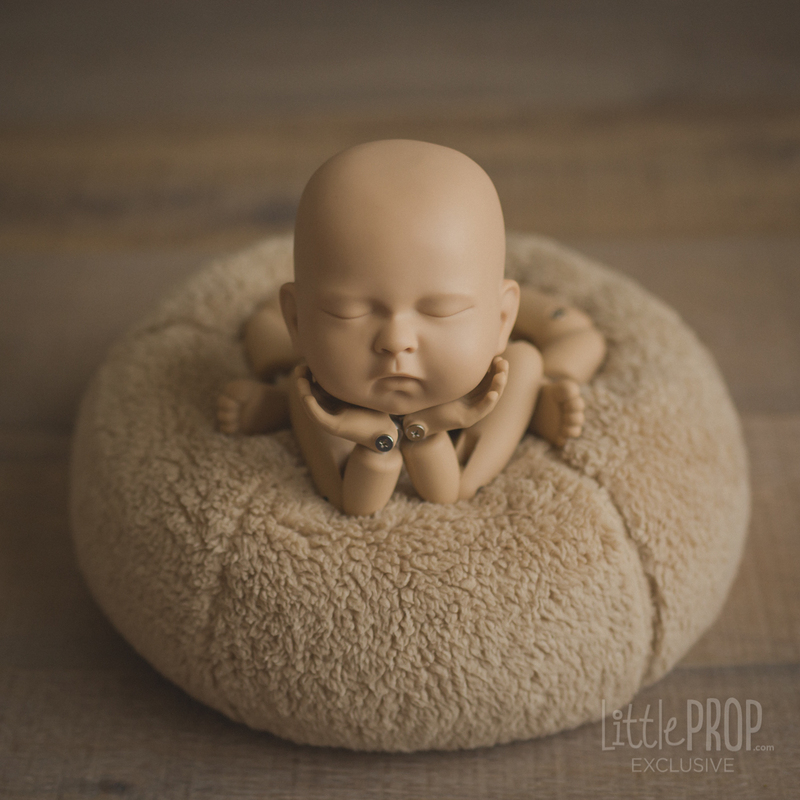 Did I mention it is comfortable, probably the most comfortable prop ever and so safe to use, and the results are beautiful and unique! 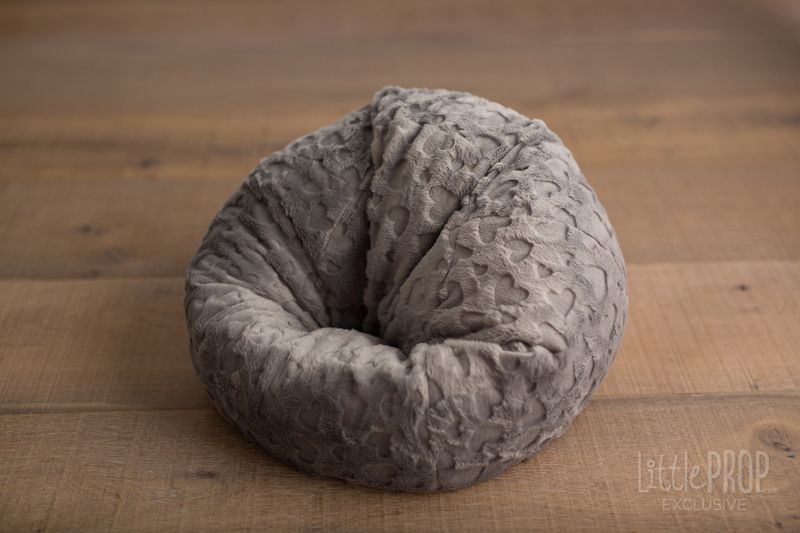 Core is tear proof and water proof: ZERO water absorption and impervious to mildew, mold, rot, and bacteria: for those potential spills :), just wipe it out and you're done. 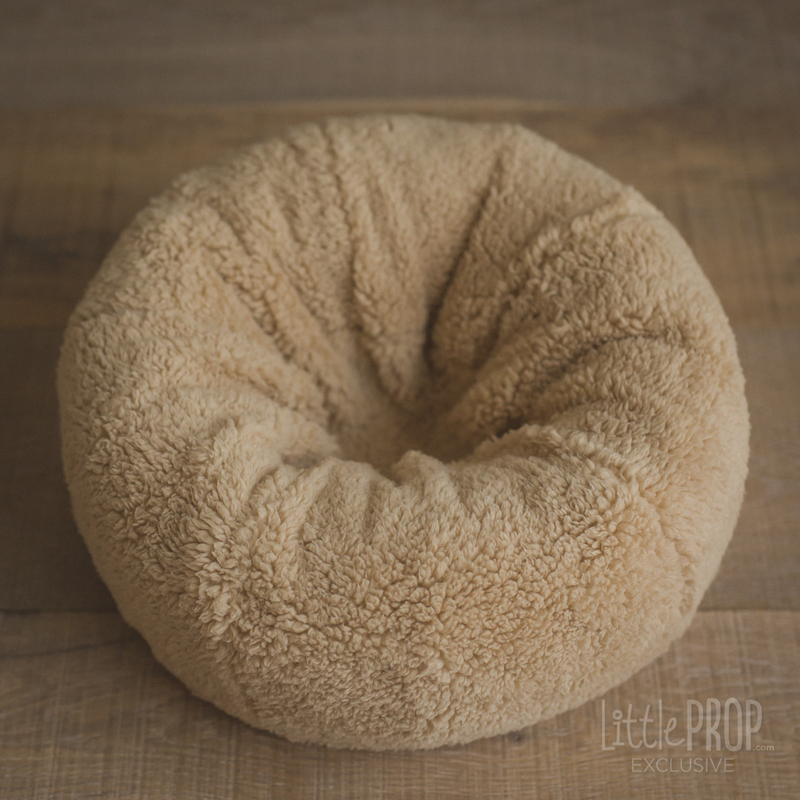 This product is not a baby bed and it is not intended for personal/everyday use with a baby. 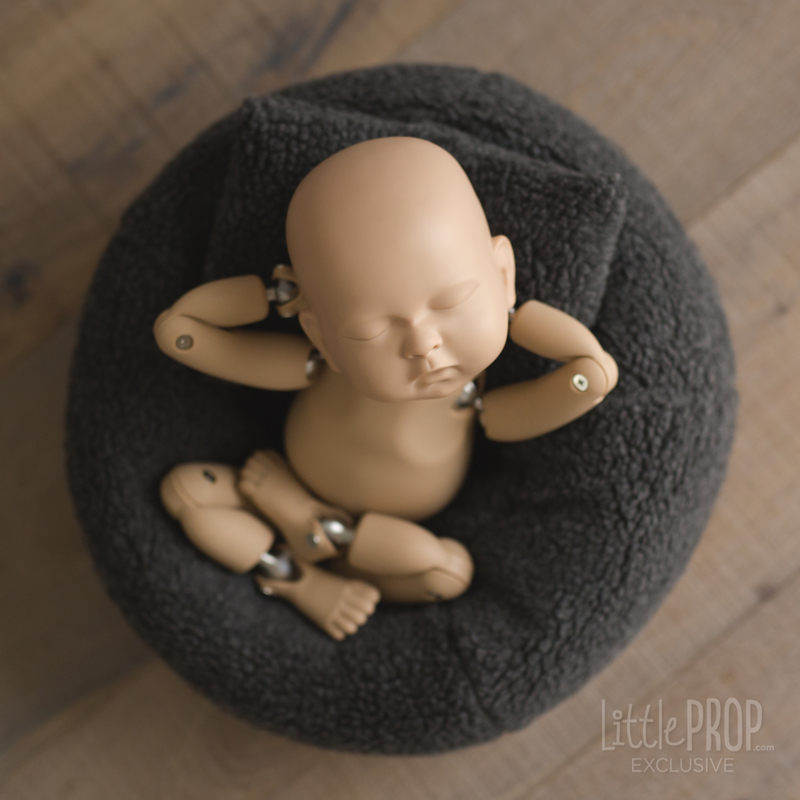 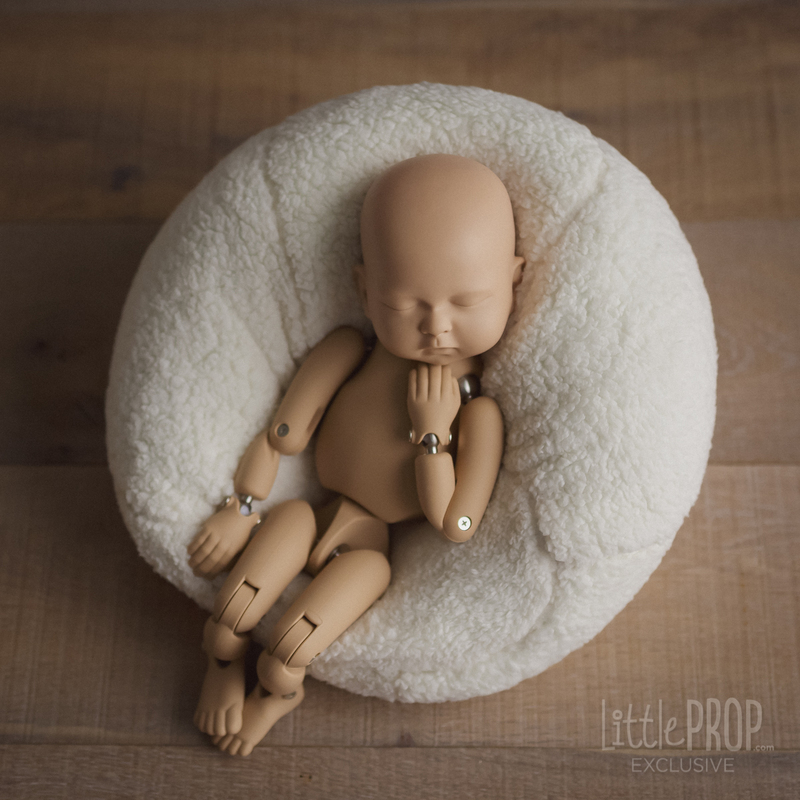 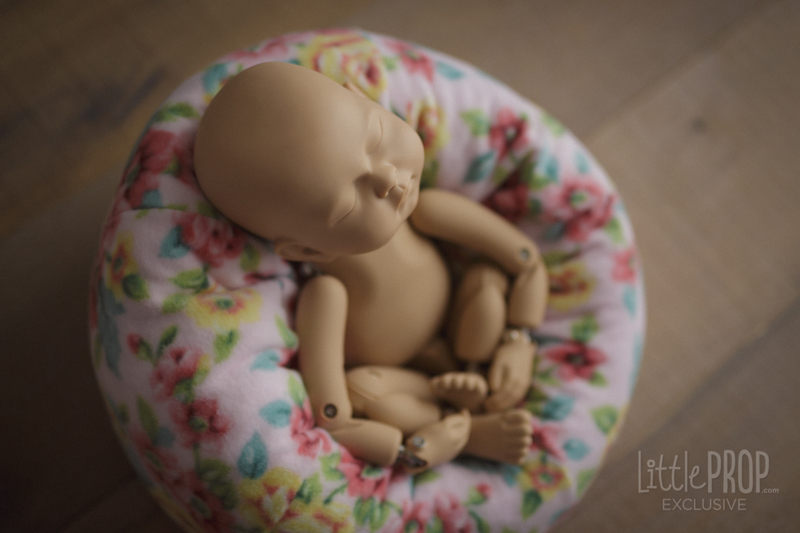 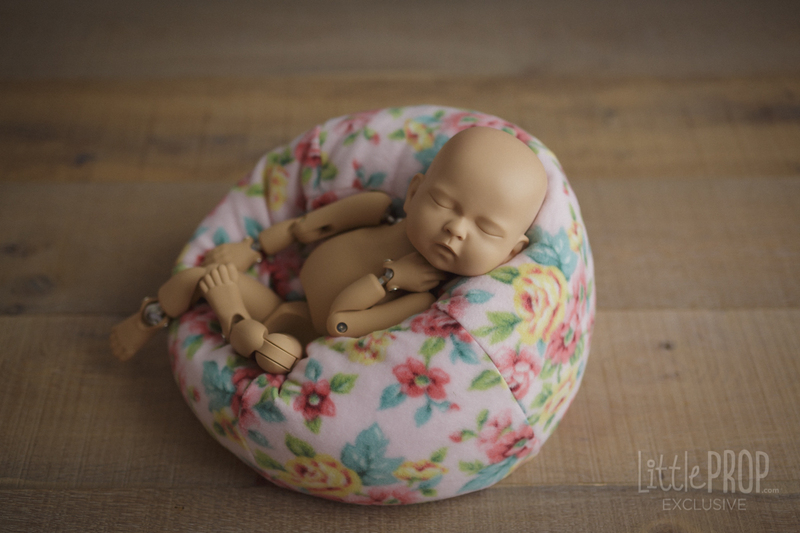 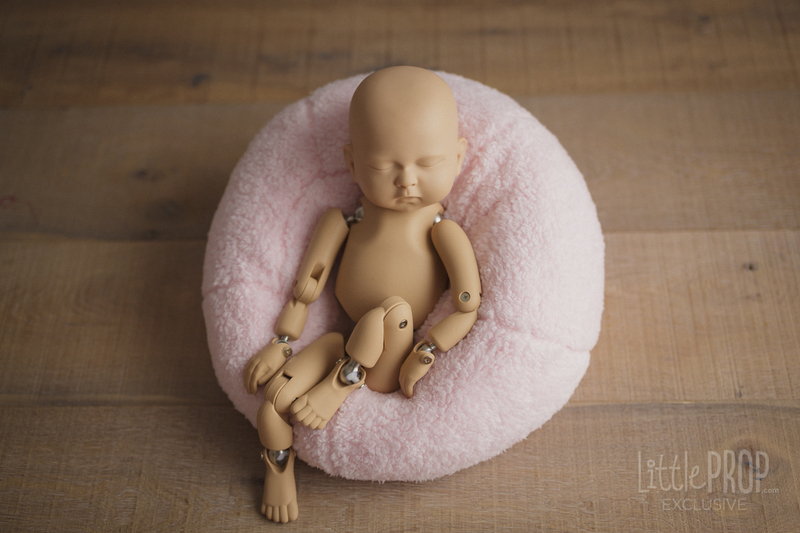 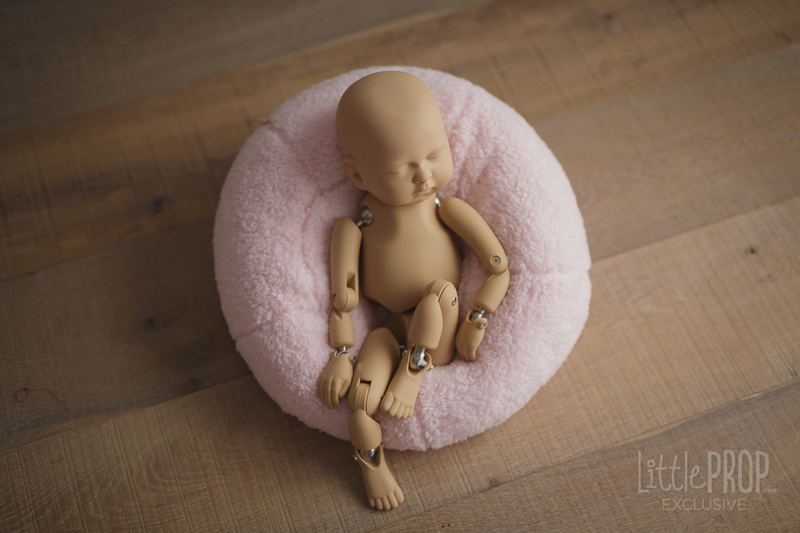 This product is a photography prop intended to be used by professional newborn photographers only for short periods of time (while posing a baby). 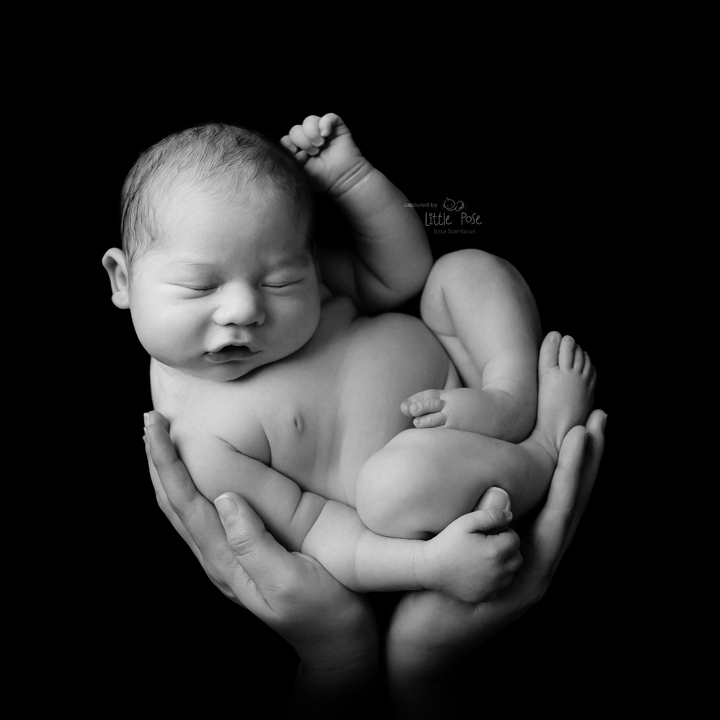 A spotter with hands inches away from the baby must be always present. 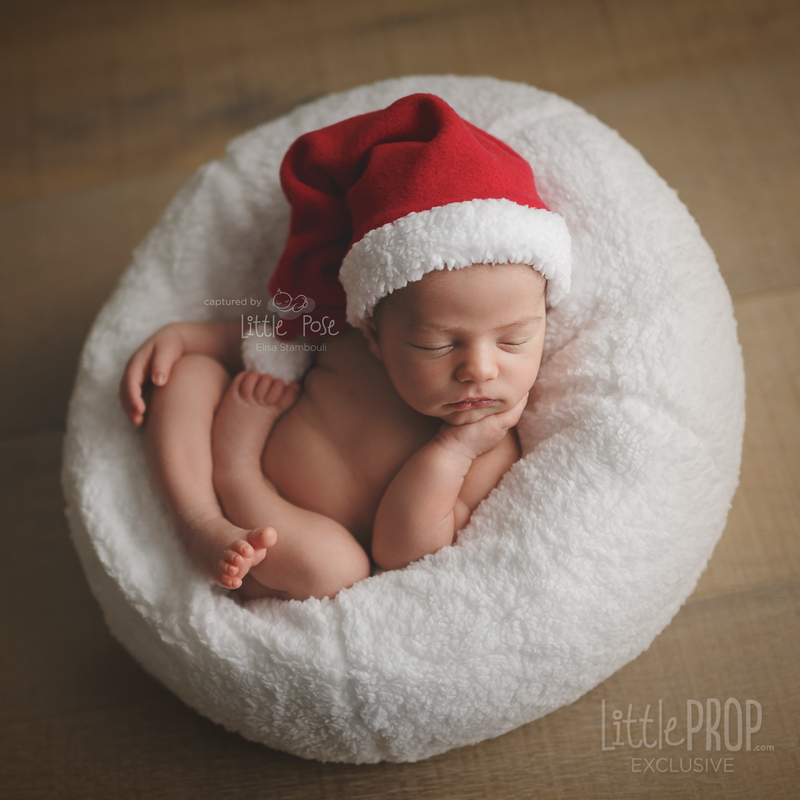 Never leave a baby unattended while posing on this or any other prop. 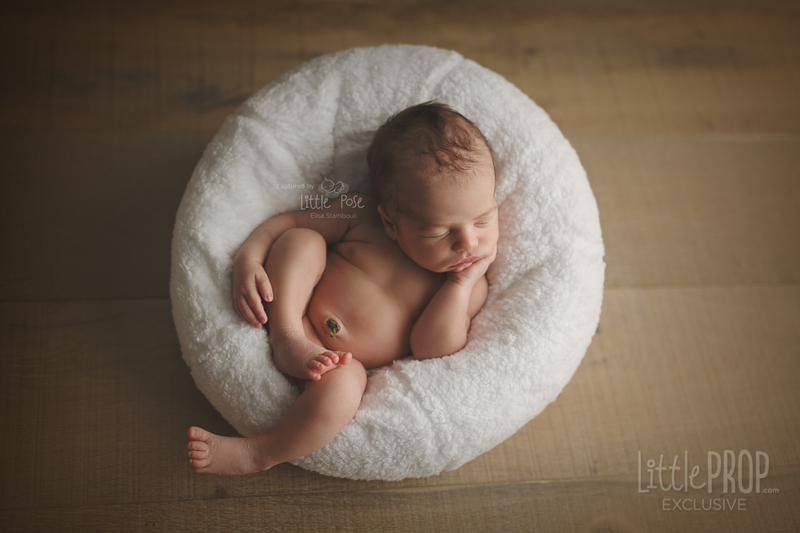 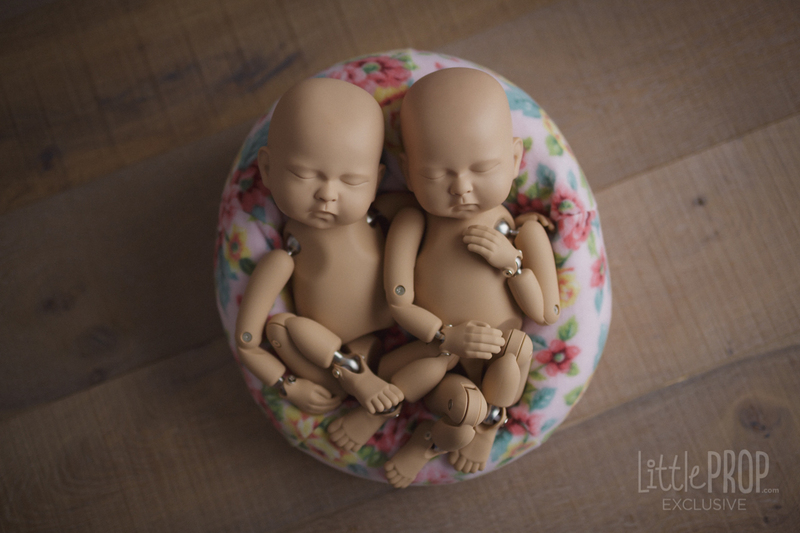 Babies will fit and pose differently depending on flexibility, size and weight. 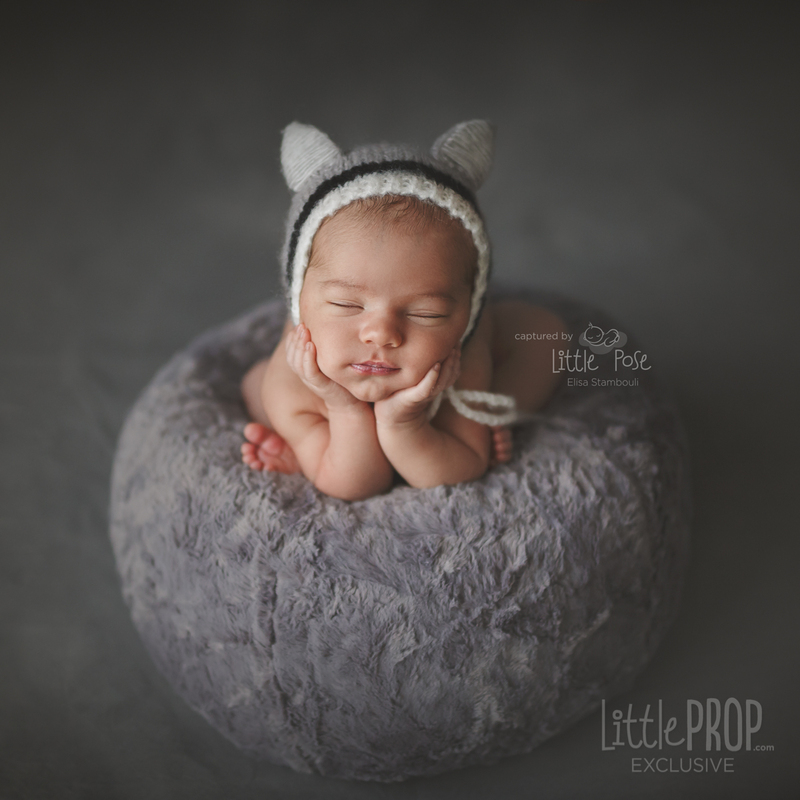 Little Pose is not responsible for improper use. 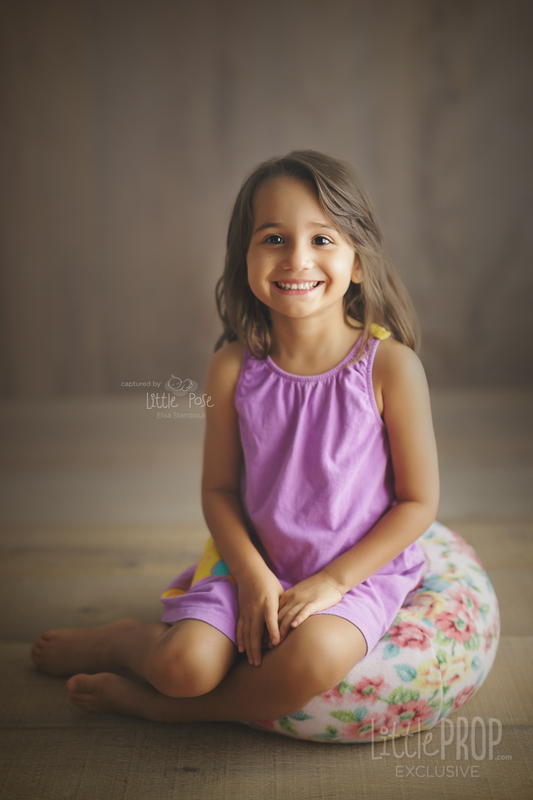 Screens display colors differently so actual colors of the covers might slightly differ from the colors displayed on your screen.